Inspired by the French resort Les Arcs, Valle Nevado contains almost 7,000 acres of skiable domain – the largest accessible ski spread in South America. 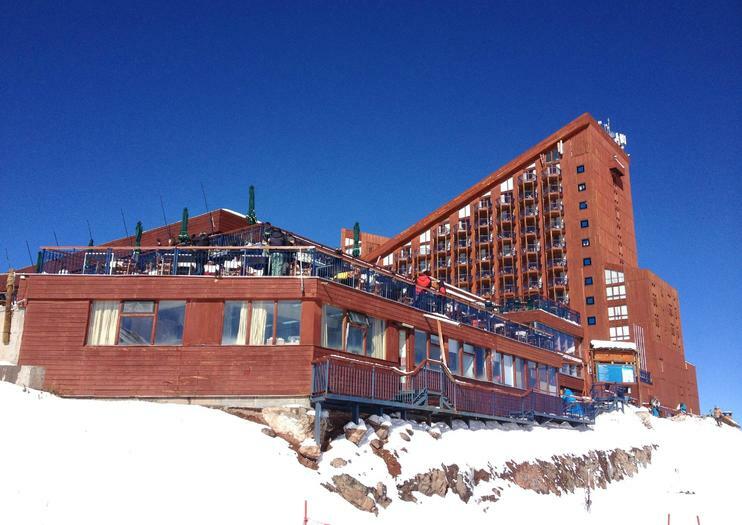 This new ski center rests snugly in one of the best locations of any resort in Chile and caters to all levels. It also offers off-piste runs and hosts an extensive terrain park full of rails, boxes, jumps, and a quarter-pipe suitable for even the most enthusiastic freestylers. Detachable lifts have changed the ski industry forever – and Valle Nevado´s The Andes Express was the first one to be built in Chile, reflecting just how modern the resort aims to be. Five new runs were built in 2010. The ski area also contains a spa, sauna, Kid´s Zone, emergency services, a cinema, and an outdoor heated pool with nearby cocktail bar. Journey to the heart of the Andes Mountains on this 8-hour tour from Santiago, including hotel pick-up. Enjoy an endless panorama of snow-capped peaks, rugged plains and glittering lakes as you wind your way up the hair-raising mountain roads. Keep your camera to hand as you climb to a height of over 3,000 meters (9,842 feet), stopping to take in the views at the ski centers of Farellones, El Colorado and Valle Nevado. Escape Santiago and experience the beauty of the Andes on this half-day, low-impact trip to Valle Nevado. Set out toward the popular ski resort via private vehicle, stopping at various scenic points along the way. Before reaching Valle Nevado embark on an easy, guided hike for spectacular views of the snow-capped peaks, then pause at a hidden lookout to savor both the moment and views with wine and cheese. Take some time to explore Valle Nevado before returning to Santiago. Get the ultimate powder fix with a private snowboard lesson at one of Chile’s most popular ski resorts, including round-trip transport from Santiago. Head to the Valle Nevado Ski Resort where you can master the basics or brush up on your snowboarding skills with a 2-hour class tailored to your ability level and hone your position by watching video footage. After breaking for lunch (not included), hit the slopes to put your newfound skills into action. Venture away from the bustling city of Santiago and spend the day in the beautiful Valle Nevado, or Snowy Valley. Upon arriving at the ski resort, strap into your ski or snowboard gear (at your own expense) and take to the slopes for a day of snowy fun. This small-group tour is limited to 15 travelers and includes hotel pickup and drop-off.